comprehensive aftersales service which provides total peace of mind for all our customers. "We would like to commend you on an excellent service throughout. 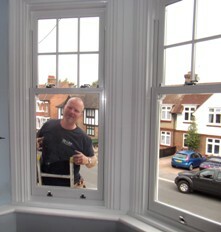 Andy and Martin fitted the windows very professionally, and they are an excellent team. Very clean, tidy and friendly. We will have no hesitation in recommending you to all. 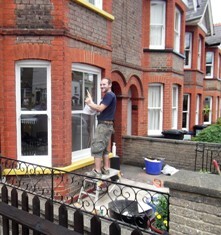 Many of our neighbours have already commented that the windows look fantastic. We are extremely pleased with the result. Thank you once again for the wonderful service throughout." "This has been an exceptional professional service from all the people I've dealt with"
� We're fully committed to rectifying any problem. your call if it�s urgent. � We�re members of The Consumer Protection Association. � We're members of FENSA. guarantee with an independent insurance policy. 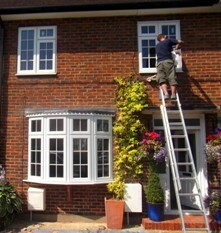 � Our products are fully guaranteed. Insurance backed warranties offer complete peace of mind for all our customers. customer communication, particularly during an installation. results from our surveys can be found on our Home page. Final figures for 2011 will be published at the end of the year.